It’s partly because of the stickers’ availability, of course, but also because more natives are choosing to stay rather than move away. And that, combined with many snowbirds seemingly leaving later in the spring – or never – means there are summer audiences to fill huge tri-county concert venues like Coral Sky Ampitheater, BB&T Center, and American Airlines Arena. At age 70, James Taylor may be the elder statesman among the singer/songwriters associated with the folk-rock explosion of the early 1970s. The Boston native took a circuitous route toward stardom, with stops in North Carolina, New York City, and London along with overcoming a heroin addiction in the late 1960s. But his career since includes a slate of acclaimed live performances and backing bands, and a fistful of Grammy Awards including Best Pop Vocal Performance honors for the chart-topping hits “You’ve Got a Friend” and “Handy Man.” Sixty-eight-year-old opening act Bonnie Raitt likewise overcame early hurdles to become one of the world’s incendiary, Grammy-winning pop/blues vocalists and slide guitarists. See James Taylor and Bonnie Raitt at 7 p.m. on May 11 at the BB&T Center, 2555 N.W. 136th Ave., Sunrise (800-745-3000, $66 + up). With respect for co-founding guitarist/vocalist Walter Becker (1950-2017), Steely Dan has centered around singer/keyboardist Donald Fagen since the band formed in 1972 in Los Angeles. His soulful voice and cynical lyrics stand out, and his complex, jazz-influenced songwriting made Steely Dan go beyond pop music norms on classic albums like The Royal Scam (1976), and Aja (1977). Choosing not to tour until the 1990s kept the band from greater stardom, and releasing only three studio albums since 1980 has made Steely Dan even more enigmatic. Fagen is keeping tour personnel under wraps, but expect veterans like keyboardist Jim Beard, guitarist Jon Herington, and drummer Keith Carlock. Openers the Doobie Brothers feature original singer/guitarists Tom Johnston and Patrick Simmons. See Steely Dan and the Doobie Brothers at 7:30 p.m. on May 17 at Coral Sky Ampitheatre, 601-7 Sansburys Way, West Palm Beach (561-795-8883, $41 + up). Is any modern entertainer living larger than Harry Connick Jr.? The 50-year-old singer, pianist, actor, and TV host has earned multiple Grammy and Emmy awards, and received Tony Award nominations, but his charisma and screen appearances obscure the New Orleans native’s roots. He studied piano under Ellis Marsalis, patriarch of the Crescent City’s first musical family, and co-created a musicians’ village in his hometown post-Hurricane Katrina with saxophonist Branford Marsalis. A masterful traditional jazz pianist, Connick added vocals as well as big band, funk, and show tune styles to his repertoire, furthering his stardom the same way guitarist George Benson did previously. See Harry Connick Jr. at 7 p.m. on June 3 at the Hard Rock Event Center, 1 Seminole Way, Hollywood (800-854-2196, $74 + up). Los Angeles has catapulted more acts toward stardom than any other American city, and Weezer (vocalist/guitarist Rivers Cuomo, singing multi-instrumentalist Brian Bell, bassist/vocalist Scott Shriner, and drummer Patrick Wilson) has been its leading indie-rock light practically since its 1992 inception. Fans can expect power-pop hits like “Buddy Holly,” “Say It Ain’t So,” and “Hashpipe,” along with new material from Weezer’s self-titled 2018 release. Openers the Pixies (vocalist/guitarist Frank Black, guitarist Joey Santiago, bassist/vocalist Paz Lenchantin, and drummer David Lovering) pre-date Weezer’s blueprint by having formed in Boston in 1986, and will likely play material from their latest release, Head Carrier (2016). See Weezer and the Pixies at 7:30 p.m. on June 22 at Coral Sky Ampitheatre ($17 + up). Hall & Oates’ string of hits through the 1970s and 1980s put singing guitarists Daryl Hall and John Oates in the historical chart-topping territory of duos like the Everly Brothers and Simon & Garfunkel. The 71-year-old Hall’s soaring lead vocals, inspired by his upbringing amid the soulful sounds of Philadelphia, remain timeless on gems like “Sara Smile,” “She’s Gone,” and “Rich Girl” through his popular current web TV series Live From Daryl’s House. But the 70-year-old Oates’ own front man-worthy voice, songwriting and musicianship remains the duo’s glue. Grammy-winning opening act Train has been led by vocalist Pat Monahan since forming in San Francisco in 1993. See Hall & Oates and Train at 7 p.m. on June 24 at the BB&T Center, 1 Panther Parkway, Sunrise (954-835-7000, $45.25 + up). Chicago is a blues town, but vocalist/guitarist and band leader Billy Corgan flipped that script by forming the Smashing Pumpkins there in 1988. The band went on to become one of the definitive alternative rock acts of the 1990s despite a self-imposed tortured artist syndrome that involved the romantic breakup of guitarist James Iha and bassist D’Arcy Wretzky, drummer Jimmy Chamberlin’s substance issues, and Corgan’s bouts of depression. Still mercurial, Corgan’s disagreements with Wretzky resulted in her absence on this tour. Fiery original members Iha and Chamberlin, guitarist/keyboardist/singer Jeff Schroeder, and bassist Jack Bates round out the current lineup. See the Smashing Pumpkins at 7 p.m. on July 24 at American Airlines Arena, 601 Biscayne Blvd., Miami (786-777-1000, $30 + up). The Dave Matthews Band was formed in Charlottesville, Va., in 1991 by its namesake 51-year-old, South Africa-born singer, songwriter and guitarist – who recruited theatrical players like drummer Carter Beauford and violinist Boyd Tinsley and all-around musicians like bassist Stefan Lessard and saxophonist LeRoi Moore for its original lineup. Moore’s death in 2008 after an ATV accident resulted in the inclusion of gifted Bela Fleck & the Flecktones saxophonist Jeff Coffin since, and the subsequent inclusion of guitarist Tim Reynolds and trumpeter Rashwan Ross makes for a near-automatic sellout, on every tour stop, by one of the seminal American jam bands. See the Dave Matthews Band at 8 p.m. on July 27 and 28 at Coral Sky Ampitheatre ($58 + up). Talk about star power. Seventy-three-year-old Jeff Beck may be the world’s greatest living all-around guitarist, having broken new ground in the 1960s and 1970s with the Yardbirds, his self-titled group with Rod Stewart on vocals, and Beck’s own jazz/fusion-heavy solo career. Singer Paul Rodgers, age 68, remains one of the preeminent voices of that era through his stage-commanding front man status in the bands Free and Bad Company. And Ann Wilson, 67, was likely the female rock voice of the ‘70s via her soaring work with her band Heart, active until she and sister Nancy Wilson recently chose to pursue solo careers. See Jeff Beck, Paul Rodgers, and Ann Wilson at 7 p.m. on August 25 at Coral Sky Ampitheatre ($24 + up). In what could qualify as a lucrative working vacation, husband-and-wife Jay-Z and Beyoncé make a stadium appearance in Miami during their On the Run II tour. The 48-year-old, Brooklyn-born artist formerly known as Shawn Corey Carter has crafted a career as one of the most successful entrepreneurs in the history of hip-hop, all while also building empires in clothing, recording labels and entertainment companies. And he’s been married since 2008 to 36-year-old Beyoncé Knowles, the R&B vocalist and actress who’s likely one of only a few stars bigger than her husband. See Jay-Z and Beyonce at 7:30 p.m. on August 31 at Hard Rock Stadium, 347 Don Shula Dr., Miami Gardens (305-943-8000, $54 + up). Seventy-six-year-old singer/songwriter Paul Simon’s “Farewell Tour” will, at the very least, close the live performance chapter of one of folk and pop music’s historic careers. He and fellow vocalist Art Garfunkel formed their acclaimed duo in 1964, and Simon followed its Grammy-winning success with a solo run that was at least its equal across multiple decades. Simon’s 1976 album Still Crazy After All These Years won both Album of the Year and Best Male Pop Vocal Performance Grammys, and the 1987 release Graceland (Record of the Year, Album of the Year) one-upped it via the inclusion of African musicians on both the release and legendary subsequent tour. 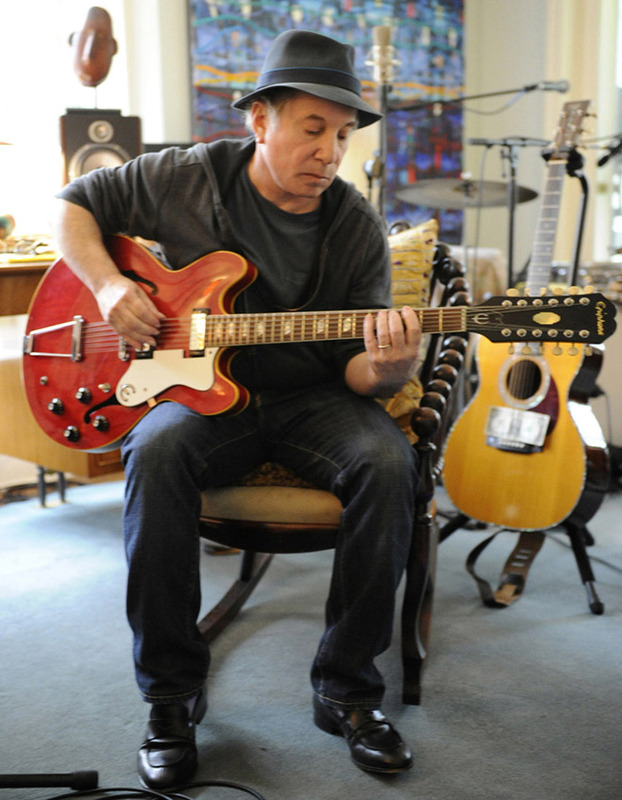 See Paul Simon at 8 p.m. on September 8 at the BB&T Center ($45.75 + up).